Are humane traps, really humane? With reputed ‘humane’ traps lining the shelves of DIY stores, it can make you feel so much better about getting rid of your pest problem. However, are these traps really humane? Or is an instant kill trap actually the better option for all those concerned? Why do we need to control rodents such as mice and rats? Mice and rats breed notoriously quickly, meaning that one or two mice can turn into a full family of eight in a matter of weeks. If not treated quickly those offspring will mature and can have children themselves within 3 months. To defend our properties against structural damage, they are famed for causing electrical fires as well as gnawing into building materials to trim their teeth and to create nesting material. What is a humane trap? A humane trap to me is one, that allows to you get rid of a pest infestation while causing as little harm to the animal in question, while minimising impact to any non-target species. What type of humane traps are there? For the purpose of this article, I’m going to discuss rodent issues but I would be more than happy to discuss others through comments or email. Live traps are popular amongst those, who don’t like the idea of killing an animal. They are seen as a catch and release solution usually using a mechanism in which to trap them securely until you are in a position to relocate them. With a live trap you need to be able to check these traps regularly and I mean at least every 12-24 hours, otherwise you will cause distress to the rodent. Once you know an animal is confined in a trap their welfare is governed by the Animal Welfare Act 2006. The person setting the trap has responsibility for their welfare and it is an offence to cause, or fail to prevent, unnecessary suffering to the animal. One side effect of being left too long in the trap is that they can start to develop hypothermia, due to the breath of the rodent creating moisture in the trap, which wets the fur and makes them extremely cold. Rodents are neophobic, which means that they have a deep fear of new things. Therefore, those who are released back into the wilderness have a very low chance of survival as they are likely to starve, become dehydrated or be eaten by predators due to the unfamiliarity. These traps should be illegal!! ‘Marketed’ as being able to gently trap an animal by adhesive until they can be released or instantly killed; they are placed in locations frequented by the rodents with the scent or bait attracting them to the device. 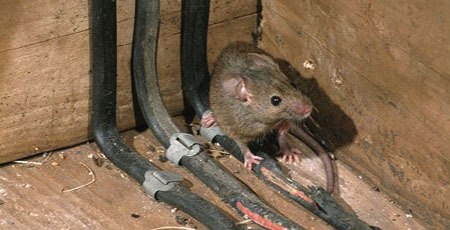 When a rodent is captured in the seemingly ‘humane’ trap, it instinctively tries to escape; often tearing fur, or even suffocating itself, if a nose or mouth becomes attached. If you are intending to kill the captive upon discovery in order to minimise upset, you are already too late; they will have suffered more already than they would have with the use of a snap trap or anti-coagulant rodenticides. Survival instinct in any animal is strong, and to me these traps are a torture chamber. I have even seen evidence of mice and rats who have tried to gnaw off their own limbs in order to escape. Laying these contraptions, and saying that you'll regularly check them isn't enough, just because you can't imagine the thought of an instant kill trap does not warrant the use of these alternatives. Quite quickly a mouse can be starved or become dehydrated if left in the trap too long due to its high metabolism. Some studies have also shown that rodents start to defecate themselves after only an hour or so, as they become distressed. Glue traps are unselective, so any non-target animal could become trapped, including a bat, squirrel or bird. To sign a petition against glue traps click here. What is the most humane solution? This is where the debate gets difficult, as it will never feel easy to kill an animal. However, as explained earlier mice and rats can cause lots of damage to the food chain, spread disease as well as structural damage to buildings therefore it is necessary to deal with an outbreak. Catch and release might feel better for you, but due to their neophobic character they are likely to suffer huge distress anyway, either during their capture period or upon relocating. Options to consider are lethal traps such as a snap trap or the use of anti-coagulant rodenticides. Deciding which to use would depending on the size of infestation and where they are located. Yes, they are lethal however, they are quick to take effective and minimise pain to the animals. Qualified pest controllers such as myself are trained in effective use of these methods and take their responsibility for animal and human welfare seriously. The most obvious humane solution is actually to prevent the pest becoming an issue in the first place. Not only will it make you feel better but it will also be a likely cost saver in the long term.